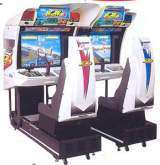 Wing War © 1994 Sega. Wing War is a flight/combat simulation. The object of the game is by where the players fight head-to-head in airplanes trying to shoot the other players out of the sky. Runs on the Sega "Model 1" hardware. Released in June 1994 in Japan and in August 1994 in USA. 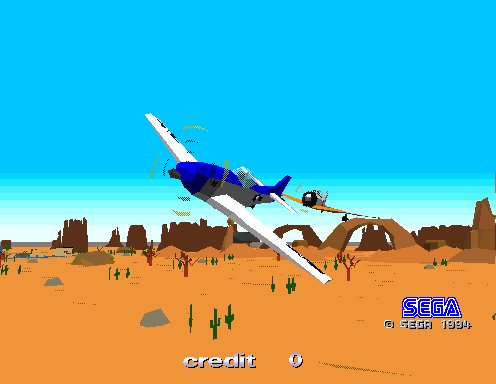 This is the last game produced for the Sega Model 1 hardware. The US version is slightly different, it has the "Recycle It, Don't Trash It!" screen.